American born Nancy, Viscountess Astor, on this day in history, 1919, became the first woman to sit in the British House of Commons. Her husband, Waldolf Astor, was sitting MP for Plymouth Sutton, and when he succeeded to the peerage and took his place in the House of Lords, the Conservative Party elected Lady Astor in his stead. She held the seat until 1945 when she retired. Lady Astor was the first woman to take a seat in Parliament, but the distinction of being the first woman elected to the Commons was the Countess de Markievicz, an Irish nationalist married to a Polish count. She took part in the 1916 Easter Uprising, and was up for a seat representing Dublin in 1918 while imprisoned in London. She won the election, but as a member of Sinn Fein she refused to sign the oath and did not take her seat. 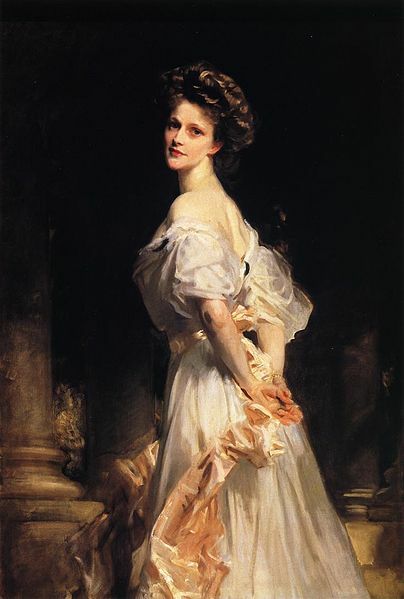 So Lady Astor was the first woman to win the election and actually take her seat as an MP. Born in Danville,Virginia in 1879, the daughter of a former Confederate soldier turned successful tobacco auctioneer, Nancy wed Bostonian Robert Gould Shaw II in 1897. The couple produced one son before divorcing in 1903. Soon after the break-up of her marriage, she departed on a trip to England, where she met Waldolf Astor, descendant of American fur trader John Jacob Astor. They fell in love, and married in 1906. It wasn’t long before Nancy Astor was a leading lady in British society, hosting elegant parties at the Astor country estate of Cliveden. The Astors’ tightly-knit clique, known as the “Cliveden Set,” exerted considerable influence in politics and foreign affairs. In 1910, Waldolf was elected to the House of Commons, where he remained until his father died ten years later. When Lady Astor first took her seat in the Commons in 1919, chaos reigned in the Old Boy’s Network. Reactions from her fellow MPs ranged from iciness, to nervousness, and outright hostility. Winston Churchill, who had been a guest at the Astor home before Nancy became an MP, refused to speak to her during her first two years in the Commons. Freeze you out … Because I find a woman’s intrusion into the House of Commons as embarrassing as if she bursts into my bedroom when I had nothing with which to defend myself, not even a sponge. You’re not handsome enough to have worries o’ that kind. Lady Astor worked tirelessly for causes that championed women and children. She promised in her first speech as MP that she intended “to speak for hundreds of women and children throughout the country who cannot speak for themselves”. She was as good as her word.